Nineteen UNESCO Category 2 centers, including ICIWaRM, recently met to discuss mutual collaboration and their role in the current phase or UNESCO’s International Hydrological Programme (IHP). The Secretary of IHP, Prof. Blanca Jimenez, and other IHP staff were also present. 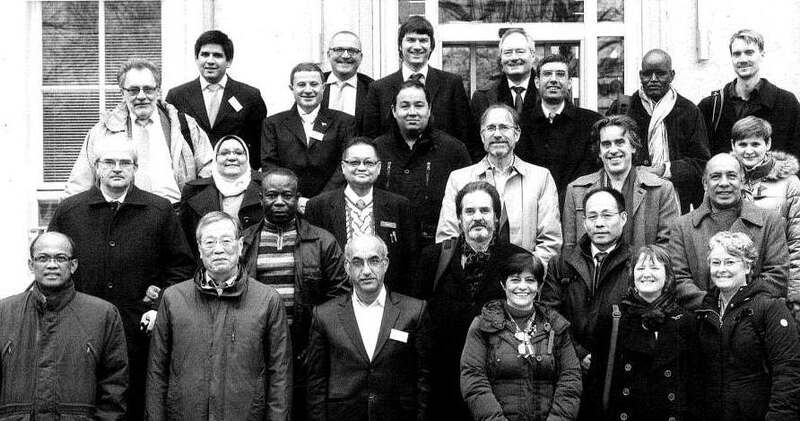 The event was held at the Centre for Water Resources and Global Change of the Federal Institute of Hydrology in Koblenz, Germany on December 15-16, 2014, and was co-hosted by the German Ministry of Foreign Affairs. The centers had an opportunity to summarize their activities and especially their topics of interest for collaboration. Areas such as drought monitoring, seasonal forecasting for floods and droughts, and water management in the context of climate change were areas of broad interest. There was also discussion of using single basins for testing many of the tools that have been developed for such applications. In summarizing the meeting, Prof. Jimenez said that it was important to keep in mind that we are working for the member states of UNESCO – all of them, not just our own country. She noted the critical importance of category 2 centers for the IHP program, and suggested that programs that category 2 centers are especially engaged in, such as G-WADI (semi-arid regions water program) and the international initiatives on floods, droughts and sediment, could be the foci of collaboration among centers. Representatives of 19 category 2 centers as well as UNESCO staff braved the chill for a group photo.